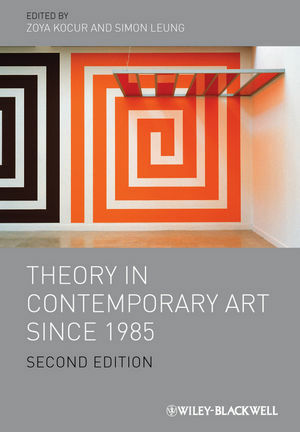 Updated and reorganized to offer the best collection of state-of-the-art readings on the role of critical theory in contemporary art, this second edition of Theory in Contemporary Art since 1985 brings together scholarly essays, artists’ statements, and art reproductions to capture the vibrancy and dissonance that define today’s art scene. New contributions to this edition include those by Alexander Alberro, Claire Bishop, T.J. Demos, Anthony Downey, Liam Gillick, Marina Gr?iniæ, Mary Kelly, Chantal Mouffe, Beatriz Preciado, Jacques Ranciere, Blake Stimson, and Chin-Tao Wu. Zoya Kocur is an independent scholar based in New York. She has taught at New York University and the Rhode Island School of Design, and is the former Associate Curator of Education at the New Museum of Contemporary Art. Her publications include Global Visual Cultures: An Anthology (2011) and, as co-editor, Contemporary Art and Multicultural Education (1996). Simon Leung is an artist based in New York and Los Angeles, and Professor of Studio Art at the University of California, Irvine, where he heads the New Genres area. His work has been exhibited at the Whitney Biennial, Venice Biennale, and the Guangzhou Triennial.